Traffic to Amazon Route 53 Rerouted via a BGP Hijack — For over an hour this Tuesday, misuse of BGP (the protocol used to exchange IP routing information) caused much traffic to Amazon’s Route 53 DNS service to be redirected elsewhere. This. Is. Very. Bad. BGP Leaks, Cryptocurrencies, and What It All Means — Analysis of the BGP story (above) including a look at what BGP is, what a BGP leak means, why it happened, and ways to mitigate such problems. 'So Long Last /8 and Thanks For All the Allocations' — A good read on the state of IPv4 address allocations and exhaustion from RIPE, the regional registry for Europe and the Middle East. They have about 2 years of addresses in their poll after recovering 9 million addresses. 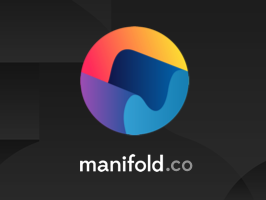 Manifold Is the Marketplace for Independent Developer Services — Find, organize, and connect the best cloud services for your application. Safe AWS Lambda Deployments with AWS CodeDeploy — It’s possible to automatically shift incoming traffic between two versions of a function, allowing you to rollout a new function gradually and rollback at the first sign of trouble. Titus, the Netflix Container Management Platform, is Now Open Source — Provides scalable and reliable container execution and integration with AWS. Titus was built internally at Netflix and is used in production to power their streaming and content systems. GitHub repo. A New '.BOT' gTLD from Amazon — Amazon has launched .BOT, a new generic top-level domain (gTLD) for bot developers using a supported tool (including Amazon Lex and Microsoft Bot Framework). Five Lessons From 3,650 Days of Web Perf Work — Including “Less focus on averages, more focus on outliers” and being aggressive with logging. Improving the Security of Your Webapp with Security Headers — A list of important HTTP headers for security, their impact, and ways to use them. eBook: Best Practices When Versioning a Release — A closer look at semantic versioning – a key best practice for software releases used by some of the best dev teams. Web Backend Developer (Fairfax, VA) — City State Entertainment is looking for an ASP.NET dev to help create Camelot Unchained, an RvR fantasy MMO for its studio in VA.
WebOps Expert? Let Your Dream Job Find You — Top developers can get 5+ interview requests during their first week on Vettery. Blink Intent to Implement: Priority Hints API — The Priority Hints API lets developers signal to the browser how much a resource-fetching HTML element matters to the user experience. The browser may take this signal into consideration when prioritizing the request. Installing WordPress with NGINX Unit — NGINX Unit is NGINX’s new app server which supports PHP. GitLab 10.7 Released — The open source Git repository manager now includes a Web-based IDE for working on files. Red Hat Introduces Vault Operator for Kubernetes — A tool for managing instances of Hashicorp’s Vault, a secrets management system. Gimbal: A Load Balancing Platform to Route Traffic to Multiple Kubernetes and OpenStack Clusters — Built on Kubernetes, the Envoy proxy, and Heptio’s Kubernetes Ingress controller, Contour.